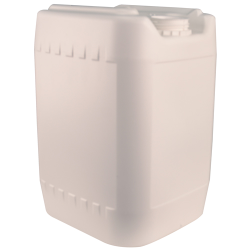 20L, 13L JERRY CAN | Barrier Plastics, Inc.
Kortrax® based Jerry Cans can be used to safely transport solvent-based products such as household chemicals, industrial chemicals, cleaning solvents, adhesives, wood preservatives, automotive additives, and agricultural chemicals. They may also be used to safely transport foodstuffs such as flavors, edible and essential oils. GW w Pallet: 275 – 300lbs.